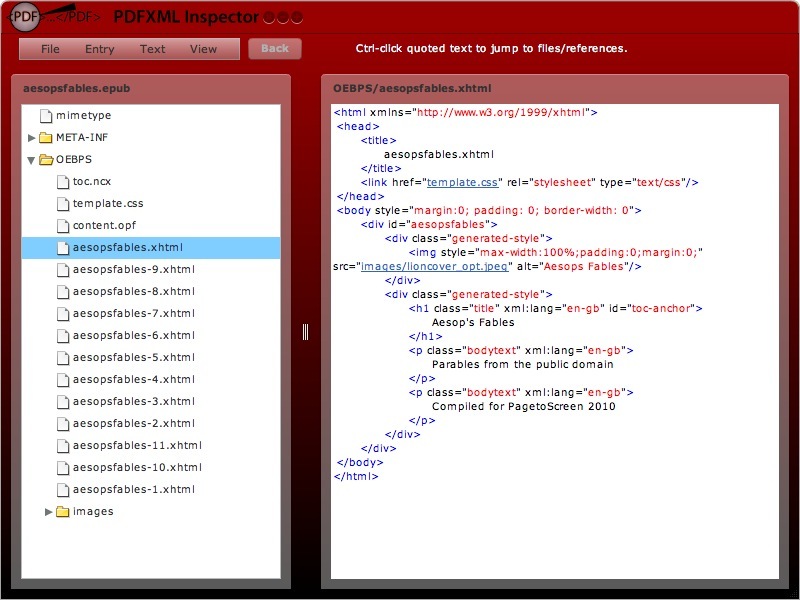 PagetoScreen - Dear Adobe, why did you drop PDFXML Inspector? Dear Adobe, why did you drop PDFXML Inspector? The Adobe AIR application used to be a free download. It was useful because you could edit an ePUB file without needing to unpack it and re-zip it. I used it in my class to show how to edit XHTML and CSS. Unfortunately, it seems that Adobe have stopped supporting the Mars project and this format and the tool. If you already have a copy of the PDFXML Inspector, then it will continue to work as long as you don't update Adobe Air. My advice: get the Oxygen XML editor (not free - other than a trial). Here it is.